First Alert is a manufacturer of not only smoke detectors but also carbon monoxide alarms, fire extinguishers, portable safes and security devices for home or business. The company's smoke detectors are available from a variety of hardware, home improvement and retail superstores. Like other devices, First Alert smoke detectors do not last forever, and the company recommends replacing the units every 10 years via its recycling program. 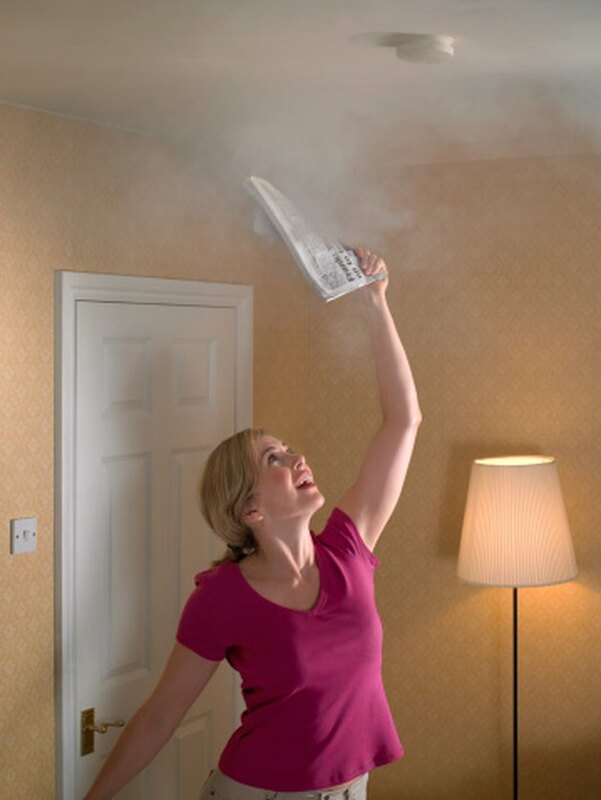 The program accepts all First Alert smoke detector models, and there is no fee for using the service. Use First Alert's smoke detector recycling program to get rid of your old detector. Place your unwanted First Alert smoke detector in a 6-by-10-inch or 6-by-9-inch padded envelope. If a padded envelope is not available, use a similarly sized box and newspaper to secure the smoke detector in the box. Seal the envelope or box with shipping tape. Write on the outside of the envelope or box, "For Disposal Only." Place the label containing your name in the upper left-hand corner of the envelope/box and the other label in the lower right-hand corner. Take the package to a post office/mailing center for mailing.